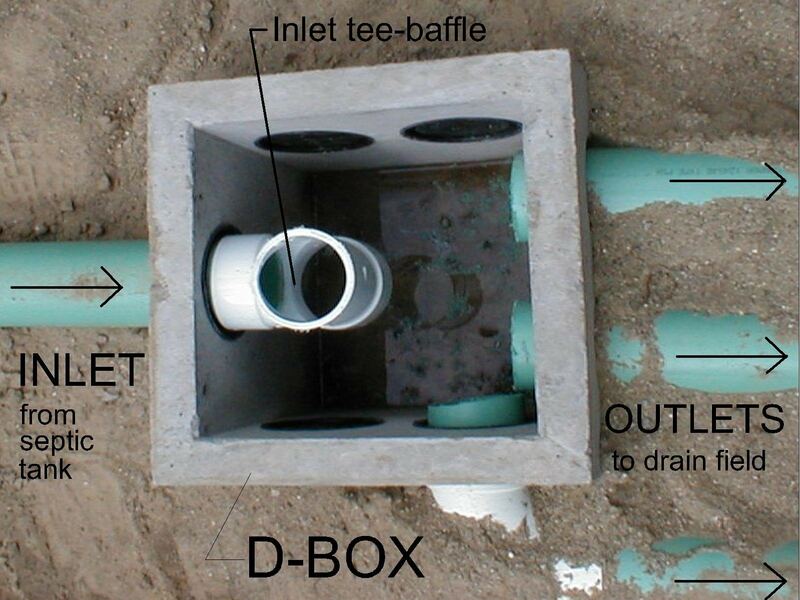 This article will cover what role a septic tank baffle plays in drain field lines. Part of creating a sanitary home environment is maintaining a fully functional septic system with its septic tank and drain fields intact. It’s easy to just be aware of the septic system that you have underneath your yard and just let the septic expert handle everything. However, it’s part of being a responsible homeowner to know everything about the components of your septic system. The baffles are important parts of your system. You should know what role a septic tank baffle plays in keeping drain field lines optimal. As you know, a modern septic system has an inlet and an outlet pipe. The baffles are situated in front of each pipe. If you see to it that the septic baffles are always in good condition, you can be assured that the lifespan of your septic system is extended. As a result, your drain field will also be well taken care of. The septic baffles or septic tank tees are responsible for preventing the grease and scum from blocking the inlet and the outlet pipes. The solid waste particles are kept inside the tank to keep the waste particles fro flowing back into your home and out into the drain field. This is very helpful for maintaining the drain field because all the particles that might clog it are kept in the tank. With this, you should see to it that the septic baffles are well maintained. Failure to do so will lead to a very expensive septic system replacement or repair. If ever the septic baffles are missing or damaged, expect the solid waste particles to enter the drain field, clogging it up, especially if they have not been replaced. This leads to the drain field’s inevitable failure. Septic baffles can be easily replaced or repaired. A plastic tee piping could easily be inserted into the outlet or inlet pipes so that a new baffle system may be established. Baffles contain the floating scum, grease, and solid waste particles inside the tank itself so that they won’t reenter the home or exit into the drain field. Septic baffles can be lost or deteriorate. This lets the solid waste particles enter the drain field. As a result, the drain field gets all clogged up and this will lead to the failure of the entire septic system. Baffles are ideally maintained by inspecting them whenever you have your septic tank pumped out. Any rusting or damage should be reason enough for the septic expert to replace the baffles with septic tees. There are many things to consider when baffles are inspected. Taking a closer look at the baffles could very well tell you what is taking place in your septic system. Baffles that are made of concrete easily erode because of poor concrete quality, harsh chemicals, too much water flowing over them, improper pump outs, and strong detergents. Inspecting baffles involves looking at the scum layer over the baffles. This will prompt more investigation on the baffles. Heavy rain also contributes to the deterioration of the baffles. If there were just too much runoff, it would be better to seal the entrance of the septic tank so that leaks can be prevented from saturating the tank with too much water pressure or additional sediments. Make sure the raw sewage is just below the inlet pipe and inches below the top of the baffles. If you see the sewage level is low inside the septic tank, then the tank must be leaking or damaged. You can expect the sewage is already spilling into the drain field. The solid waste particles will surely clog the drain field and this will lead to inevitable system failure. Septic baffles are important in maintaining the septic tank’s optimal condition. If the septic baffles are always monitored, you will have a longer lasting septic system. You should work with your septic expert in maintaining or replacing your baffles so that your household won’t experience drain field failure problems.